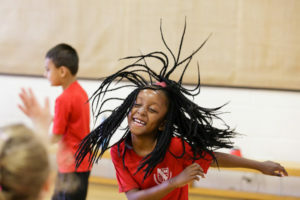 Spring Term is fast approaching, so let One Day help you bring the Chinese New Year in with a fun packed, vibrant celebration of Chinese Culture, and explore the topic through dance, drama and story telling! 2019 is the Year of the Pig so fill your day full of interesting facts, imagination and movement. Chinese Spring Festival runs from Monday 28th January – Tuesday 19th February and we only have a handful of dates left! Get in touch for availability in your area. Bring the colourful swirling Chinese Ribbon Dance into your school hall and delve into the traditions, history and stories surrounding the movements. This workshop is a wonderful opportunity to learn about Chinese hand gestures and their meanings, and how dance relates to both everyday life and significant events. Take your class on a exploration of a murky, dangerous world of myths and legends, when Kings, monsters and magic mix together. Focus on the Ancient Chinese myth of Yi and the Ten Suns, exploring elements of Ancient Chinese culture, and the story of the ten children of Di Jun – God of the Eastern sky! Get in touch for more information on discount offers for International Drama and Dance workshop this year. Bring the colourful swirling Chinese Ribbon Dance into your school hall. Let’s take a journey to explore the vibrant streets of Rio de Janeiro through dance.